Riga, the capital of Latvia, is home to just over 700,000 people. This European cultural hub is renowned for its unique mix of architectural designs, traditional restaurants, exciting nightlife and its beautiful coastline along the Baltic Sea. The iconic Freedom Monument and the magnificent St. Peter’s Church are only two of the impressive sights to explore in Riga. Cheap flights to Riga are now available for a limited period of time, so get ready to be inspired by this city’s history and incredible culture! Riga is home to Riga International Airport (RIX) which is a 20-minute drive from the city centre. RIX serves a multitude of airlines, including Air Baltic, Lufthansa, Turkish Airlines and Finnair. Flight duration from Johannesburg to Riga is approximately 15 hours and 30 minutes. Affordable flights to Riga depart from both Cape Town and Johannesburg. 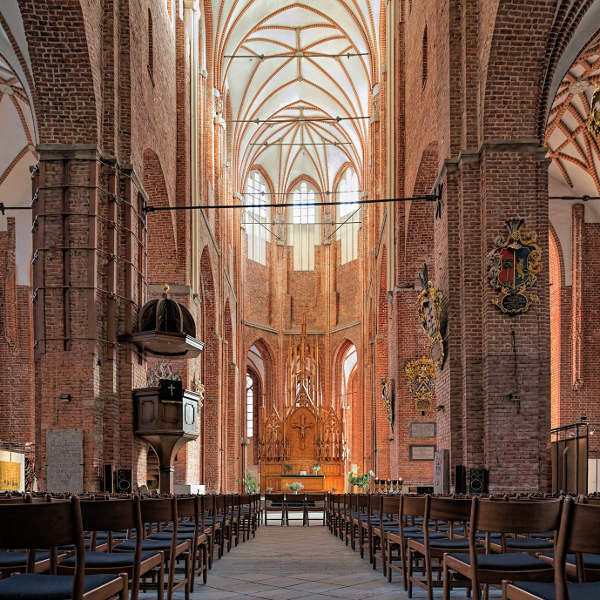 The 15th century St. Peter’s Church with its majestic views from the elevator tower and the beautiful Riga Orthodox Cathedral are just two of the ancient religious buildings that add to the city’s beauty. 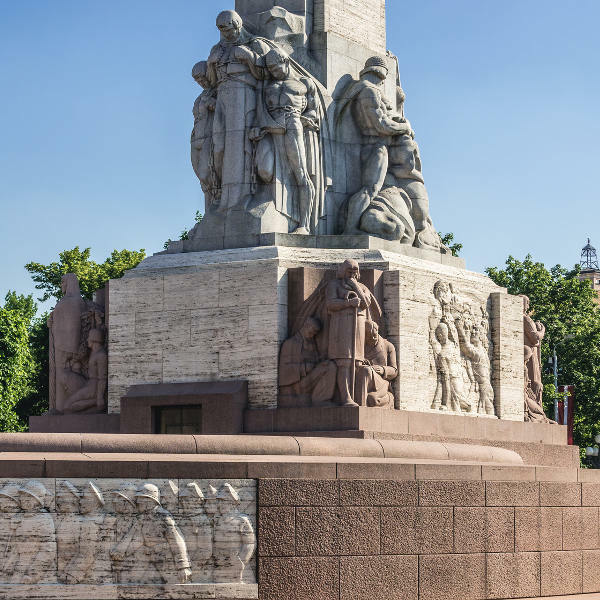 Iconic attractions like the Freedom Monument, a memorial honouring the soldiers killed during the Latvian War of Independence (1918 to 1920), offers visitors a look into Latvia’s unique history. Modern and traditional restaurants, warm and welcoming local bars and exciting dance clubs situated in Riga’s popular Old Town will allow you to rub shoulders with the locals and enjoy the vibey Latvian culture. Riga experiences a humid continental climate that consists of warm and humid summers and icy, cold winters. The peak tourist season in Riga takes place during the blooming spring and warm summer months between April and September. Annual events such as the Riga Music Festival in January and the increasingly popular chamber music festival, Winterfest, draws crowds into the city all-year-round. However, if you want to enjoy Riga during its off-peak season and enjoy fantastic discounts, the months between October and March are the best times to go. Enjoy a stroll through the less crowded city, celebrate Latvia’s Day of Independence with the locals, ice skate and ski at one of the many ice rinks and parks available around the capital in winter. Set your curious mind alight with a trip to the ancient yet beautiful capital of Latvia, Riga. This European cultural hub is renowned for its unique mix of architectural designs, traditional restaurants and exciting nightlife. 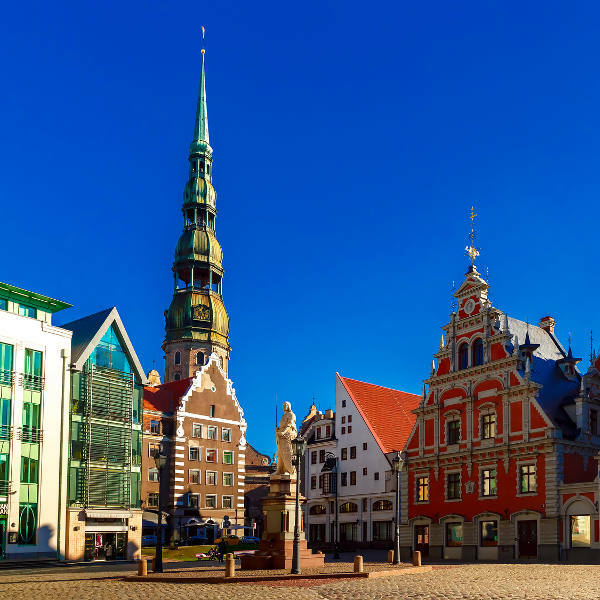 A day of sightseeing must include visits to the iconic Freedom Monument, the 15th century St. Peter’s Church and a few hours spent admiring the Art Nouveau-styled architecture along the cobble-stoned streets of Riga’s Old Town. Popular Art Nouveau-styled buildings to see include the Three Brothers and the House of Blackheads. A clearer view of Riga can be enjoyed on a sightseeing boat cruise along the mighty Daugava River. The cruise runs along the Riga canal showcasing panoramic views of the city. You will even be able to spot the bustling Riga Central market from the water’s edge. Riga’s Old Town is also a UNESCO World Heritage Site and home to a vast amount of modern and more traditional eateries where you can tuck into hearty local dishes made from the region’s freshest ingredients. Renowned for its vibrant nightlife, you will be spoilt for choice by the multitude of bars and dance clubs situated around Old Town. Compare several airlines, and book your cheap flights to Riga online with Travelstart! South Africans do require a Schengen Visa to enter Latvia. The Latvian Ministry of Foreign Affairs has an agreement with Hungary that South African passport holders may apply for the Latvia Schengen visa through the Hungarian Embassy in Pretoria. Passports may not be older than 10 years, must have 2 blank pages and be valid for at least 3 months beyond your date of departure from the Schengen state. The Hungarian Embassy is located at 959 Arcadia Street, Hatfield in Pretoria. Make sure your routine vaccines that include the MMR vaccine, DPT, Chickenpox, Polio and yearly flu shots are updated before travel. South Africans do not require any specific vaccinations to enter Latvia. Riga is a quiet and peaceful city with a low crime rate in comparison to other major European capitals. Despite this, you should still practice normal safety precautions such as keeping your valuables and important documentation safe and watching out for petty crimes like bag-snatching or pick-pocketing. It is good to note that the Old Town is a popular tourist attraction, especially on weekends, and may become crowded in the evenings. You are also advised to choose recommended and safe bars as some bars in Riga, as well as other cities in Latvia, are known to run billing scams on unsuspecting tourists.